You trust your credit union to make products and services available to help you do more with what you have. That’s why we’ve joined with a dedicated team of insurance professionals to bring you the TruStage® Auto, Home & Life Insurance Products. If you haven’t compared auto, home or life insurance rates lately, it’s a great time to take a look. Your credit union membership could result in some nice savings. To get quotes or just explore your options, click here for a Free Quote today or call 1-855-483-2149. 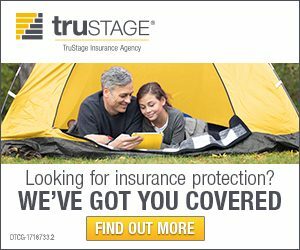 TruStage® Auto, Home and Life Insurance products are made available through TruStage Insurance Agency, LLC. Life insurance and AD&D insurance are issued by CMFG Life Insurance Company. Auto and Home Insurance Program are issued by leading insurance companies. The insurance offered is not a deposit and is not federally insured, sold or guaranteed by your credit union.